With the rise of digital media, the web content has found its ground. In fact, it won't be an exaggeration to say that web content has now become the mainstream medium of entertainment. Every day a new web series, now with mainstream actors is announced and is working wonders in matters of viewership. TVF (The Viral Fever) has been successfully producing great web content for a few years now. 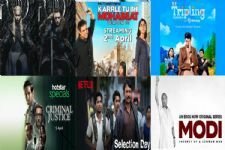 They can be credited to start the trend of web series in India and have created more than couple of amazing web series and Tripling is one of them. 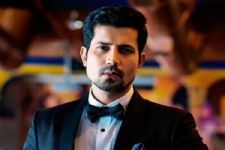 Featuring Sumeet Vyas, Maanvi Gagroo and Amol Parashar in lead roles, the first season of the series was insanely hit and the second season is now here to entertain people yet again. In the first season, the story revolves around Chandan (Sumeet Vyas), Chanchal (Maanvi Gagroo) and Chitvan (Amol Parashar) who are siblings. They reunite after a few years and happen to go on an unplanned road trip that turns out to be unexpectedly adventurous. In the second season, the same plot is continued further with interesting twists. Chandan writes a novel on their unplanned adventurous road trip and whatever happened in their lives and it becomes a best seller, which is also getting made into a film. The twist in the tale comes when the things documented in the book affect Chanchal's and her husband's life. What follows after is what the series is about. Most of the times the season 2 loses it charm, but thankfully that does not seem the case here. There are genuine laughs and the strongest point of the series is its amazing screenplay. 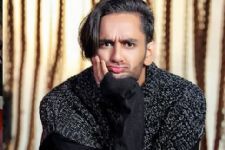 With more additions in the story this time, like actors Gajraj Rao, Kubbra Sait and Shweta Tripathi, the narrative has become strong and interesting. They have also experimented with the style of editing which was very interesting. A lot of references from the past season were repeated in this season too. Though they fit the narrative after a point, it did seem repetitive. The series is written well and most importantly executed well. It is slightly on a bigger budget than the past season and with new and interesting characters introduced this time, the series makes for a good watch. The much awaited teaser of Sumeet Vyas-Maanvi Gagroo-Amol Parashar's Tripling season 2 is OUT! Is Splitsvilla fame Nibedita Pal dating actor Ankit Bathla? Man! It has my heart. Tripling season 2 made me laugh like a crazy but also made me cry like a baby. It's beautiful beautiful beautiful series! Loved it to the core.